After arriving there we found the harbour brimful of ships. Large freighters, a couple of small passenger ships and a number of Navy vessels of differing nationalities. This time no anchorage a long way from the action but right on the wharf. This typified the distressed situation very well. Without delay the hatches were opened and in great haste the ammunition was being unloaded. At the same time a gang of workers came aboard who, clearly in great haste, started to build a long row of latrines along the railing above a wide gutter which led overboard. In addition they brought kitchen materials and food on board.It was not long before we were told what we could expect. We were being prepared as an evacuation ship for the personnel of the forces. Members of the Army, Airforce and Navy of many different nations were to be ferried to Australia. We thought: ‘You need an entire fleet for this’ and could not wait to see it. In the meantime we saw ships coming and going. 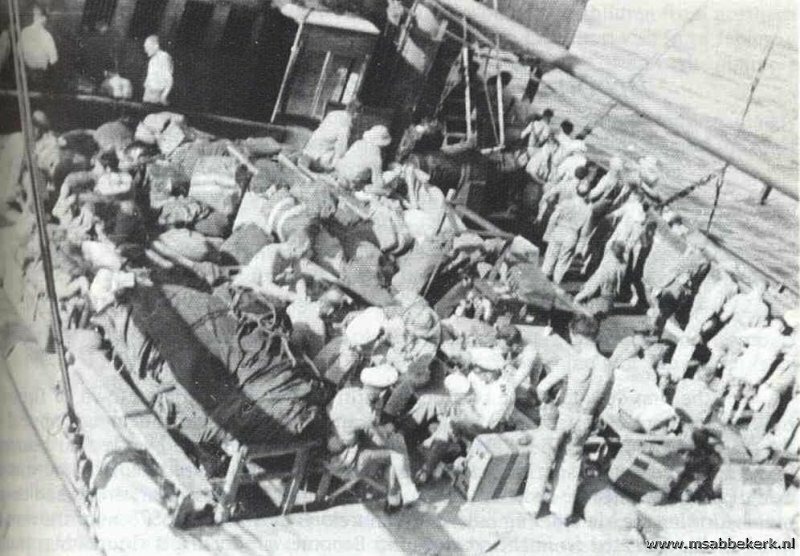 The departing ships loaded to the hilt with refugees. One day all Navy vessels which were in the harbour left. Later we found out they had sailed to the Java Sea where on 28th February and 1st March they did battle with the Japanese fleet and suffered severe losses. On 27th February, the day before the battle, all the ships in the harbour were ordered to leave for either Ceylon or Australia by evening. This created a great urgency, not only for the people unloading the ammunition but even more so for the refugees who were still on the way to our ship.The unloading of the ammo was stopped. We found that the bottom holds were still loaded to the top. The hatches could just be closed without divulging what was underneath. 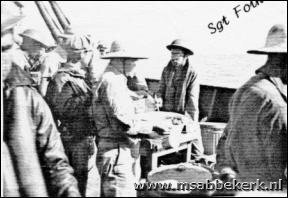 During the day the men came aboard. A more diverse lot I have never seen. 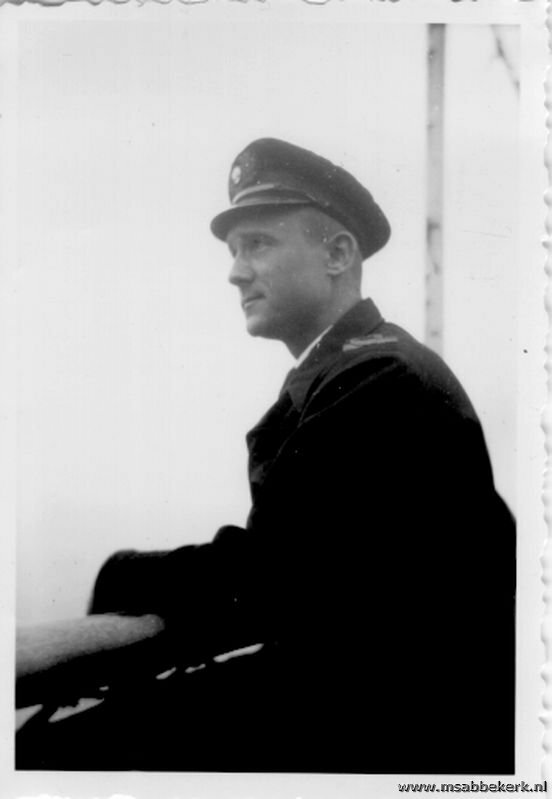 Aircraft crews still wearing their thick woollen jackets, a few high and a lot more lower officers, soldiers and sailors, both with and without weapons, and then some civilians, many with worried and tired faces. Well what can you expect? Most had left family behind and all faced a dangerous and uncertain future. They were spread over the entire length of the ship as well as in the top holds; everybody was given a camp bed. For most it was not easy. They had to leave, unprepared and hastily, very familiar surroundings and were literally plonked into the hold of a freighter, not a particularly well placed area to escape from in case of an emergency. More than ever I realized that working in the engine room during wartime one never got used to the fact that you could hear or see nothing of what was happening outside. Particularly if you were aware that not too far away somebody could be ready to push a button to release a bomb, torpedo or grenade at your ship. After one’s watch going topside you could still be blown up every second during the day or night. Nevertheless I was happy every time I finished my watch. It was difficult to be happy thinking about our cargo; I thought everybody was of the same opinion. A day later we got a diversion in the form of a Japanese single engine aircraft, which quite clearly was observing us and sending our position to the closest warship or aircraft carrier. What a pity that we did not have our anti-aircraft guns anymore. All the people on board were now on deck. They were shooting with rifles and even handguns: A lot of noise but of course no results. The aircraft turned and disappeared, not because of the firing but because the pilot had seen enough. What to do now? From the bridge we were asked to get a little more speed from the engines, which we did. At sundown the Captain ordered a substantial change in direction. At sun up the following morning the bow of the ship was still slicing through the water at full speed. This and the knowledge that we had covered a good many miles gave us renewed hope. Of course there could be no certainty because ‘S.O.S’ signals were still coming in regularly. And so we safely reached Australia and the harbour of Perth, called Fremantle.